This carbide blade is excellent for removing grout from tile joints without generating airborne dust or risking damage to surrounding tiles. This 3" diameter blade cuts up to 1/2" deep with a 3/64" cutting width. 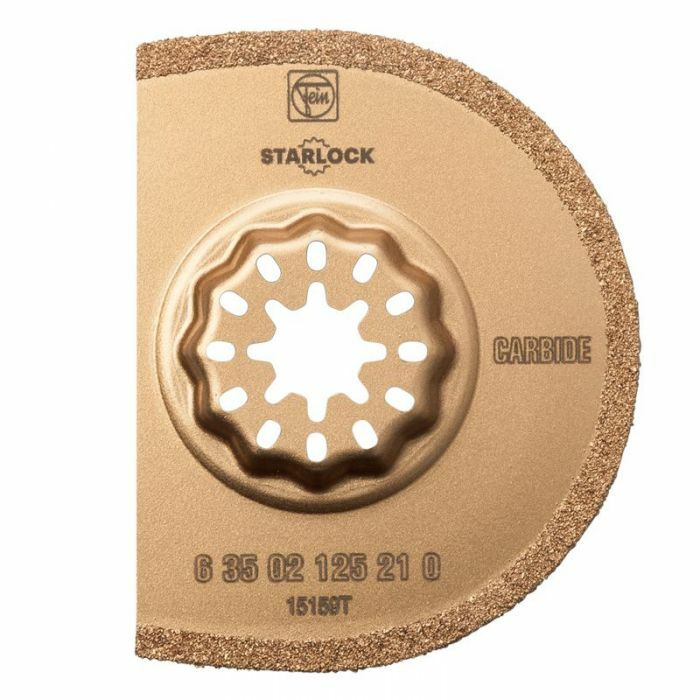 This Carbide Blade is excellent for general degrouting of tile joints. The blade generates no airborne dust and is "tile safe" since the oscillation action does not cause the blade to climb out of the tile joint like other tools. The blade is flat to allow flush degrouting and the 3/4-moon shape allows working deeper into corners. The blade is 3" diameter and cuts up to 1/2" deep. Cutting width is about 3/64". Not intended for epoxy grout removal or for cutting ceramic tile or stone.